If you are looking for an unmatched and innovative spectrum of desert safaris and adventure tours in Dubai or in other states of United Arab Emirates then, Desert Rangers is one among the best choices. As this tourism company offers unique and unparallel tours and safaris to tourists with best service and a fleet of elite vehicles. This fleet comprises of land cruisers that are safe and well maintained by licensed and professional staff of Desert Rangers. Moreover, wide-ranging services and specially designed packages of Desert Rangers are available at extremely affordable rates. Therefore students, professionals and people working in corporate sector prefer to hire them as their tour operator. Best packages at lowest rates is the most notable feature of the tour operator. Their top packages include famous desert safaris, corporate & team building events, adventures for schools and students plus incentive programs. Desert Rangers design these packages and deals by keeping the requirements of their clients in mind. Office timings of Desert Rangers are from 9:00 am to 9:00 pm on daily basis. Street 18, Oud Mehta Road, Oud Metha, Dubai, United Arab Emirates. Head northeast from First Gulf Bank Metro Station 1, then turn right towards 4th Street and later make a left turn onto 4th Street, where destination is located just a few meters away. 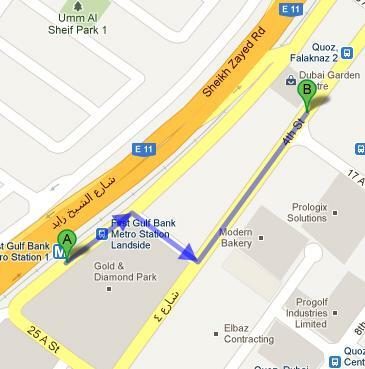 Bus number 12 will take you to Quoz, Falaknaz 1 bus stop that is 130 meters far from Desert Rangers’ office in Oud Metha. On foot a bus user can easily bridge this gap in approximately 2 minutes, if he or she heads in the southwest course on 4th Street. See map for directions.